Try a Portable Baby Rocker for free! 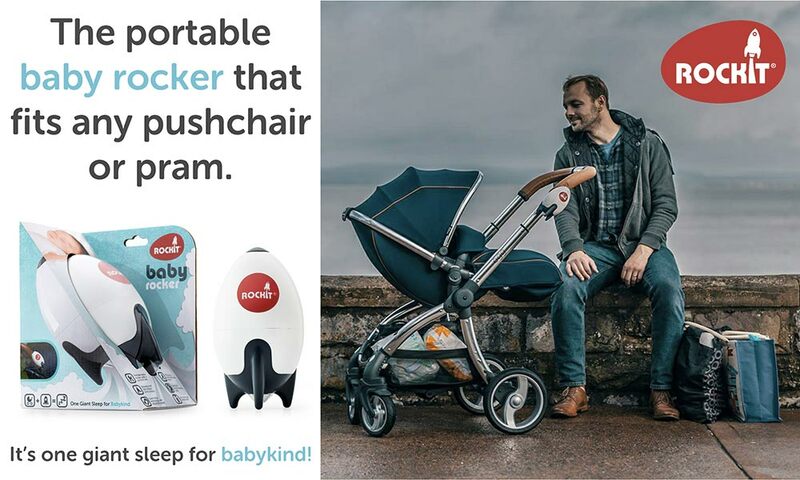 Rockit – The Portable Baby Rocker for Strollers and Prams! Does your little one wake up as soon as the buggy stops moving? The Rockit will keep rocking so you don’t have to! Created to help parents on the go, this handy must-have accessory keeps babies moving and snoozing. Simply attach to your pram or stroller, push the button and adjust the speed to gently rock your baby, just like you would. With your baby content by your side you can enjoy a coffee in peace or manage the supermarket checkout with both hands. Gain a few extra minutes to unpack the shopping and avoid late night walks around the block or long treks to keep your baby asleep. Relax, the Rockit has got it covered. The Rockit uses a gentle rocking motion to safely soothe your baby. Scientific tests show the vibration level closely mimics the normal hand rocking of a pushchair and the soothing movement is gentler than a pushchair moving over paving stones. • Up to 60 hours battery Life. 5 Portable Baby Rockers to try!